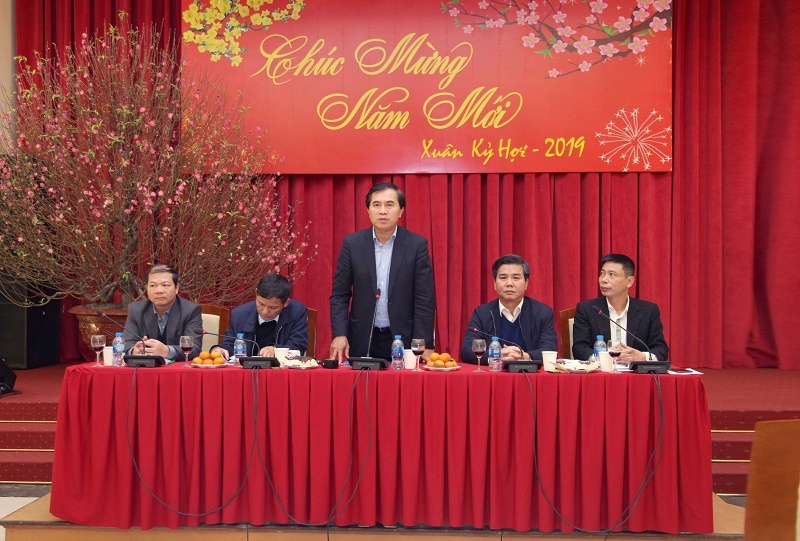 (Construction News) - In the atmosphere of the whole country is preparing to welcome a new year 2019, the Ministry of Construction had a press conference to meet reporters of central and Hanoi media agencies. Deputy Minister of Construction Le Quang Hung chaired a press conference. In the past year, the Ministry of Construction has maintained a good growth rate of 9.16% for the construction sector and about 4% for the real estate business. The national urbanization rate reached about 38% (up 0.9% compared to 2017), reaching the lower level of the targets under the Resolution of the 12th National Party Congress (38-40%). Currently there are 819 cities in the whole country. The rate of covering urban construction general planning reaches 100%, subdivision planning is about 78% (up 1% compared to 2016), detailed planning is about 39% (up 2% compared to 2017) , rural construction planning reaches 100% (up 0.6% compared to 2017). The average area of houses nationwide is about 24m2 / person, increasing 0.6m2 of floor / person compared to 2017; Total cement consumption is about 95 million tons, up 17% compared to 2017, reaching 113% of the year plan. On the occasion, Deputy Minister Le Quang Hung on behalf of the leadership of the Ministry of Construction sent the best wishes to the team of journalists and wished journalists to continue to pay attention, share and motivate the construction industry to support the construction industry grow and contribute more to the construction and development of the country.